This week’s news stories range from Brexit to pop music, TV ‘setiquette’ to vampires. We published ‘Talking: Brexit’, a podcast by Dr Chris Dent. Chris has gone on to do radio interviews sharing his perspective on this timely topic. The latest release from the University’s Label is the first to feature EHU students – our initial story features photos from the recording session and a link to the track. The single has already got international reviews and radio play including from our Honorary Doctor Janice Long. …and we previewed a special event at a special event celebrating Romania’s centenary. …Professor Paresh Wankhade’s work for the Welsh Ambulance Service and a new qualification provided to Early Childhood Studies students. All of this and more can be seen on our News Page. 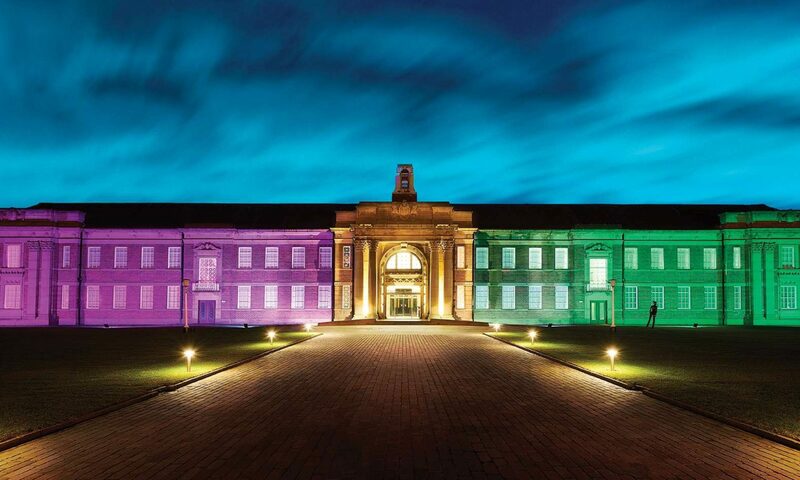 Over on social media we also shared an image of the building illuminated red for Remembrance Sunday; celebrated the release of the latest Fabulous Beasts film directed by our Honorary Doctor David Yates with a competition to win a signed wand; and gave a nod to another Honorary Doctor, Peter Hooton, who has a new book out. “The reason we have a hands-on approach to training our teachers is simple: teaching is all about modelling. It is all about allowing children to see something, and see how it works, and you can’t do that by just from learning by rote” says Sarah Wright, from FoE in a TES interview. Carol Kelly on ‘Why you shouldn’t take antibiotics for colds and flu’ and Sen Creaney on ‘Knife crime: how former offenders can make great mentors for at-risk teens’. Students’ Union Vice-President blogged about Brexit in the Huffington Post. The Arts Centre appeared in the Observer as a cultural highlight of the week, and Arts Manager Cathy Butterworth was interviewed on Radio Lancashire. Talking of radio, Radio Merseyside will be broadcasting live from EHU next Wednesday. Also next week: Scholarship winners, bees, anchorites, poetry in California and on Virgin trains, and student sport on our very own playing fields.